The Sims 3 has a very interactive website for their registered players to take advantage of which can be found at www.thesims3.com. It can be used as a place for Sims 3 players to interact with one another on the forum, exchange items, download items from The Store, and much more. Registering is required in order to take full advantage of what the website offers, including downloading the free items, so make sure you do that first! The Sims 3 website offers The Store which is an online store where players can download exclusive content for their game. It operates in the sense that you can pick and choose what you want to download instead of buying a bundle in a Stuff Pack that you may not want. This gives you more options for your game. You can buy and download Sets, Home Décor, Home Improvement, Clothing, Hair, My Page Goodies, Branded Content, Transportation and Sale! Most of the content offered from The Sims 3 Store is not free. 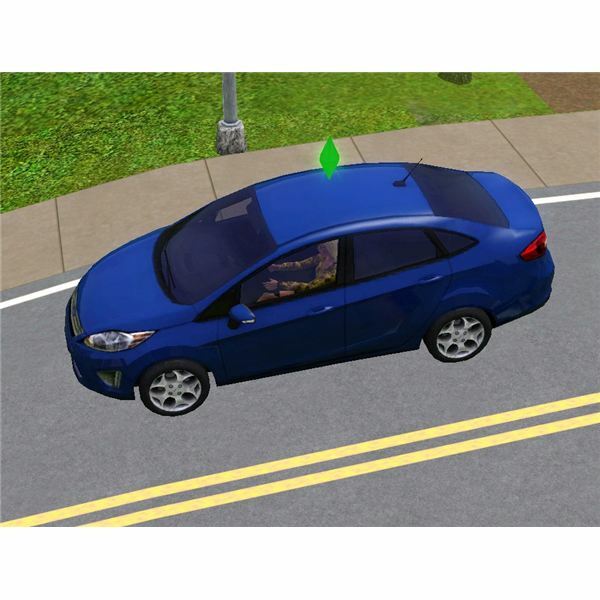 However, free Sims 3 store items are available, if you know where to look. 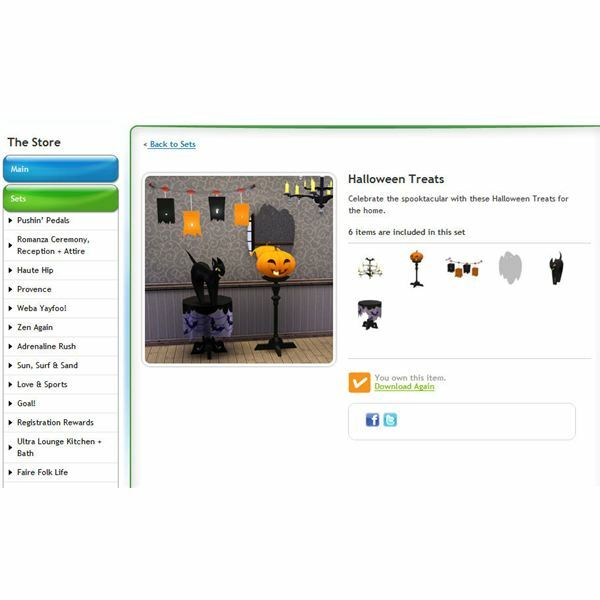 Free Sims 3 store items are usually the first things people look for and download after discovering that there are in fact free items available. 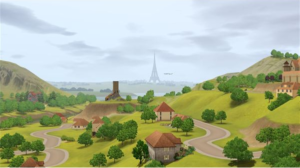 After you register your The Sims 3 game, your account is awarded with 1,000 free SimPoints to use however you wish and you have access to a free town: Riverview. When registering The Sims 3: World Adventures you will be awarded with another 1,000 free Simpoints to use however you wish too. Explorer’s Loot – this is a free set that includes 15 items available with registration of The Sims 3: World Adventures. The Ultimate Career Bundle – this is a free set that includes 13 free items available with registration of The Sims 3: Ambitions. Halloween Treats – includes 6 Halloween related items. Harvest Bounty – includes 6 Thanksgiving related items. Happy Holiday Presents – includes 6 Christmas and Hanukkah related items. Eye of the Bolder ’10 – includes 6 Valentine’s Day related items. In the Dawn of Sims – includes 2 paintings. The Sims Strike Back – includes 1 wall light and 1 painting. Let there be Sims! – includes 2 wall art items. Earth Day – includes 3 potted plants. Goal! – includes 18 soccer related articles of clothing. Adrenaline Rush – includes 2 items to celebrate the World Cup and Running of the Bulls. Weba Yayfoo! – includes 3 items to celebrate the Simlish language. Deco Tank – cute tank top with necklaces for a female Sim. Diva (F) – pretty floor-length dress for a female. Fiona (F) – this free sims 3 store item for a female is only available by the in-game store link. Fanta Shirt (F) – Fanta shirt for a female Sim. Just in Jest Hat (F) and Just in Jest Hat (M) – jester hats for female and male Sims. New Years Hat for Him and New Years Hat for Her – New Years Eve hats for females and males! Lord Sponge Tee (F) and Lord Sponge Tee (M) – shirts for females and males keeping with the Sponge theme. Lucky Duckie Jr. (M) are only available through the in game store link. Toyota Prius + Eco Pack – this requires change to English / US language. Includes a free Toyota Prius and 6 eco-friendly items. 2011 Ford Fiesta and the Fiesta Urban Streetscape – this requires change to English / US language. Includes a free Ford Fiesta and Fiesta Urban Streetscape items. The Twizy – Renault Car + Eco Pack – this requires change to English / UK language. Includes a free Twizy Renault Car and eco-friendly items. Happy Holiday Presents + Montalcino Fandango SE Car – includes items from the Happy Holiday Presents and also adds the Montalcino Fandago SE car. Not-A-Street Floor Lamp – pretty floor lamp. Tomb Sled Sleeper – twin sized bed with flowers on it with an Egyptian theme. The Desert’s End – end table with an Egyptian theme. Cellar Arch – stone arch used in build mode. The Sleeker-Sleeper – twin four post covered bed with a Chinese theme. Modern HDTV by Webbsta Industries – modern looking HDTV. Perfecto Presto! – this item is only available by the in-game store link. Honeycomb Bookshelf – bookshelf shaped like a honeycomb. Paris Wall Clock – Parisian style wall clock. Byron Desk – elegant writing desk. Annie’s Well-Organized Shelf – shelf suited for a kids room. Fanta Fridge – free refrigerator. Mega Lord Sponge and Desktop Lord Sponge – table lamps with the sponge theme. Lord Sponge’s Computer – computer with the sponge theme.